A smart method to estimate your home building cost helps ensure an accurate budget for your construction project. Using square footage is the most typical approach, but it’s not necessarily the most correct one thanks to the failure in factoring in key variables that can drive final expenses. So how do you confirm that you’re including the right kind of data? Home-Cost explains why calculating building costs by zip code produces approximate figures that are much closer to reality. Without incorporating these costs, it’s impossible to correctly price a new home build. The average home building cost calculator doesn’t factor them in, resulting in proposals that won’t accurately reflect what you or your clients will ultimately pay for completed builds. Conversely, approximating your home building cost by zip code accounts for variables that are often omitted from square footage calculation methods. For one thing, market conditions and other cost drivers impact final expenses in several construction-related activities, ranging from land clearing and site work all the way to the kinds of appliances installed into the final build. Since these amounts can fluctuate, average costs per square footage leave out such variables and often result in lowballed estimates. You may already know that regional differences contribute to final construction expenses. It’s worth pointing this out, however, as you’re assessing everything that goes into a new home build. Besides accounting for land and soil quality into the design and construction, labor and materials expenses can vary wildly between zip codes due to supply prices, transport costs and storage fees. Finally, community zoning and building ordinances also impact pricing as builders focus on complying with local regulations. Consider an example: Construction costs would differ between zip code 43235 as opposed to 43335. How does one digit make a difference? The former belongs to the northwest section of Columbus, Ohio, while the latter belongs to Martel, an unincorporated rural community 60 miles north of the city. 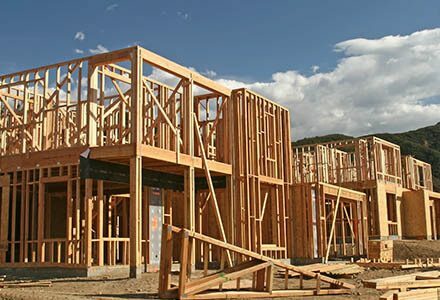 To get the most precise figures for a new home construction project, it’s essential to calculate building costs by zip code instead of by square footage. Home-Cost is a powerful tool that offers instant and accurate home construction expense estimates, providing real-time feedback for virtually any floor plan or design. Prospective homeowners can see realistic cost expectations while builders can deliver the value they promise to their clients. Contact Home-Cost by using its online form or call (800) 646-0350 to learn more. Why Does Home-Cost Use 5-digit Zip Codes?